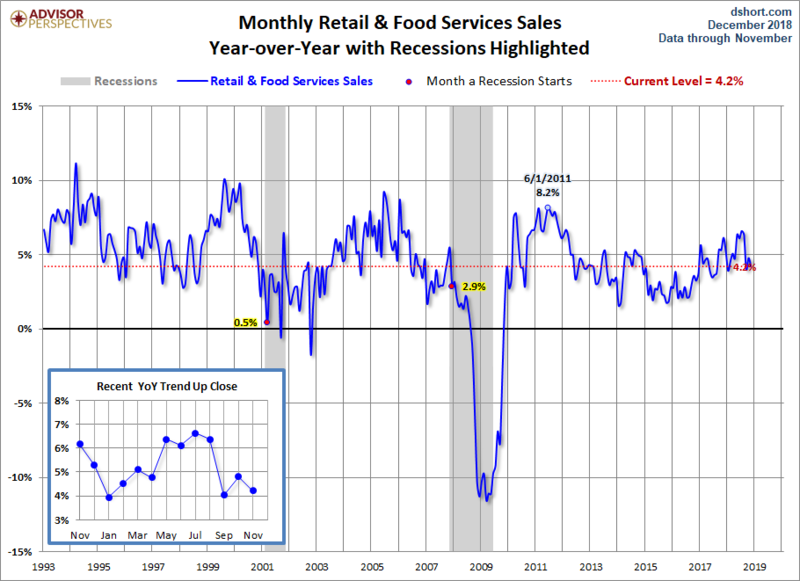 The Census Bureau's Advance Retail Sales Report for November was released this morning. Headline sales came in at 0.2% month-over-month to one decimal and was slightly better than the Investing.com forecast of 0.1%. 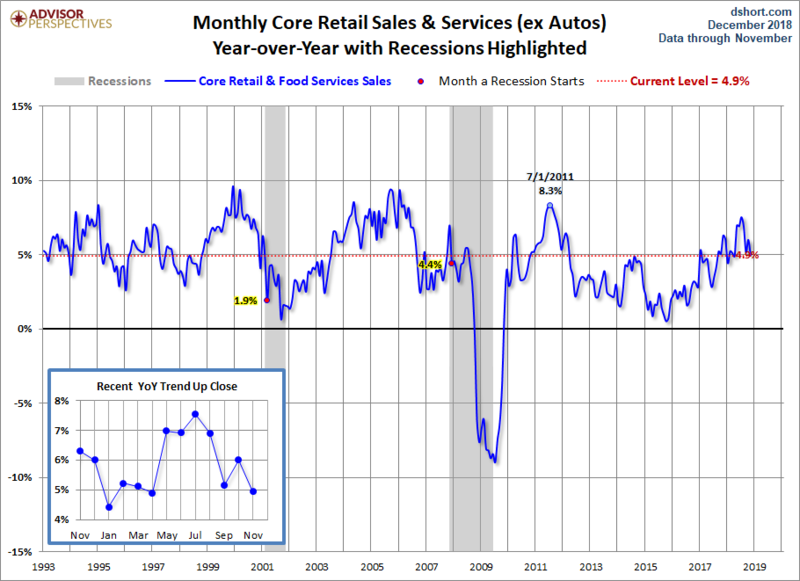 Core sales (ex Autos) came in at 0.23% MoM (to two decimals). Revisions were made to the last two months. 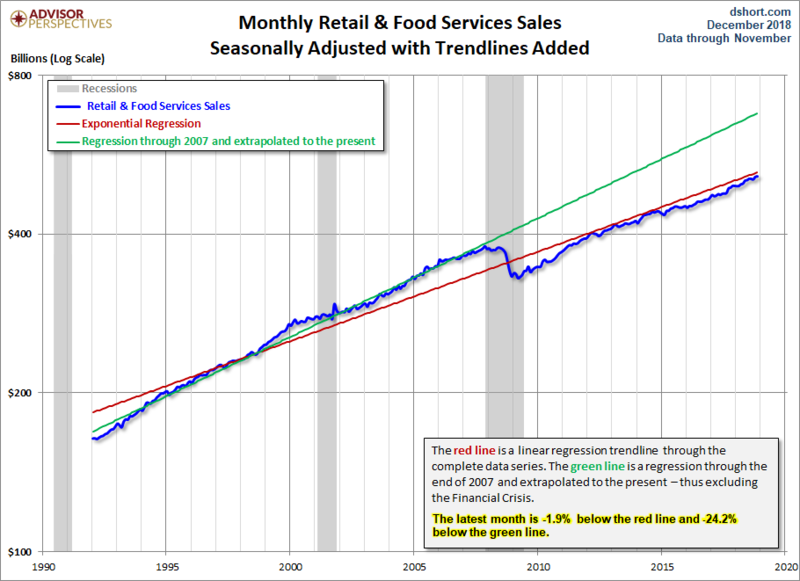 Advance estimates of U.S. retail and food services sales for November 2018, adjusted for seasonal variation and holiday and trading-day differences, but not for price changes, were $513.5 billion, an increase of 0.2 percent (±0.5 percent)* from the previous month, and 4.2 percent (±0.5 percent) above November 2017. Total sales for the September 2018 through November 2018 period were up 4.3 percent (±0.5 percent) from the same period a year ago. The September 2018 to October 2018 percent change was revised from up 0.8 percent (±0.5 percent) to up 1.1 percent (±0.2 percent).